When the Wright Brothers, Wilbur and Orville, first set out to build a successful aeroplane, they were mocked. 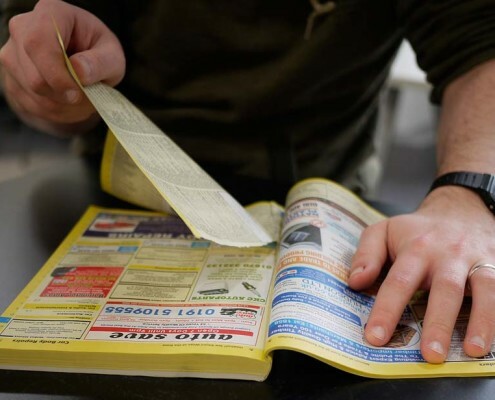 People believed it couldn’t be done and, even if it could, there would be no commercial use! The brothers proved their doubters wrong: on the 17th December 1903 they made two successful (if rather short) flights in a powered aeroplane, controlled by a pilot. If you want to find out a little more about the history of flight, have a look at the gallery below. Now it’s your turn to defy convention by building and flying a Big Mouthed Tumblewing, a flying craft unlike any you’ve seen before. 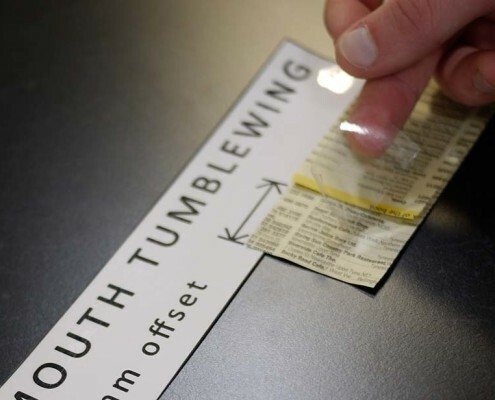 Tumblewings are very light spinning shapes that glide – surf, almost – on an updraft of air. There are many designs, but we particularly like this one, designed by Slater Harrison over at the excellent sciencetoymaker.org. Check out this video for tips on making and flying your own. They’re easy to make, but keeping them airborne is a knack that takes practice. You’ll need open space indoors and lots of perseverance. 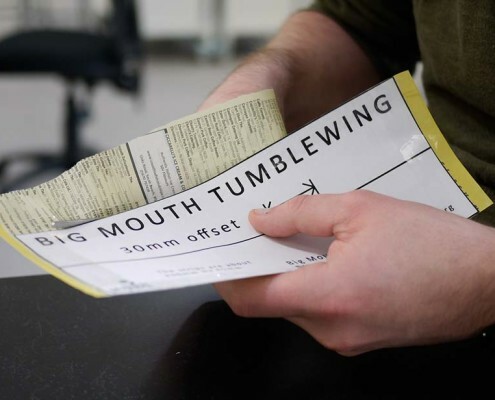 The film will help you spot the things you’re doing right and wrong. Make sure you print full size! We’ll update this page with a flying training film once we’ve made one we’re happy with – in the meantime, do watch the video above. It’ll help explain what’s going on, and more importantly how to do it yourself. Our thanks to Slater Harrison for sharing his brilliantly simple tumblewing design with us. Do visit his site! Tumblewings are unusual, as wings go. If you look at an aeroplane, you’ll immediately notice one key difference: their wings don’t spin. The same is true of birds, which is probably good for gannets or they’d get terribly dizzy. Helicopter wings do spin, but think about it a little and you’ll notice that they’re not spinning in the same sort of way. So: Tumblewings. Their spin helps keep them stable, but it also makes them slide forwards through the air as they fall. Walking behind them with a board generates an updraft of air, balancing that fall. Sometimes you’ll see birds – like that happily-not-dizzy gannet – soaring on the updraft at a cliff or hill. They’re doing the same sort of thing, but much more efficiently. Birds and aeroplanes can glide further than tumblewings because they’re much more efficient wings. Explaining how wings generate lift is a famously subtle challenge. Here’s an animation from Derek Muller of Veritasium, which is about as good as anything we’ve seen. When you look at the gliders and aeroplanes the Wright Brothers made, sometimes they don’t look much more advanced than the tumblewing – just a few bits of canvas held apart by some sticks. Perhaps a bit more than a weekend project? 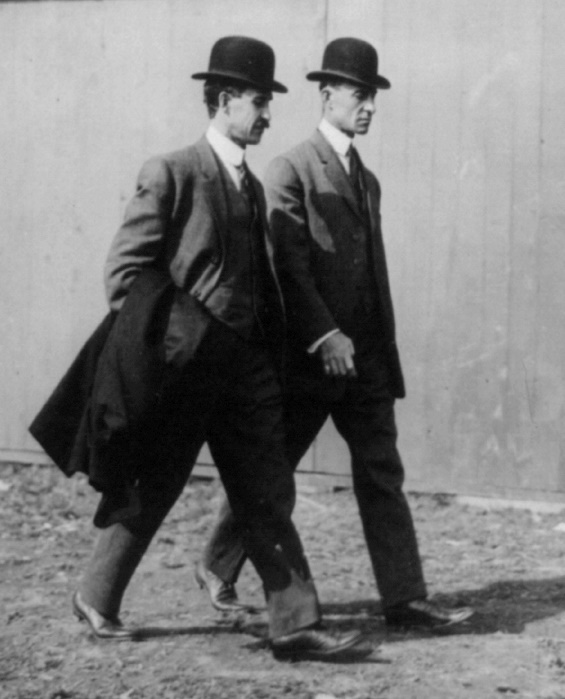 The Wright Brothers pictured in 1910, at the height of their fame. 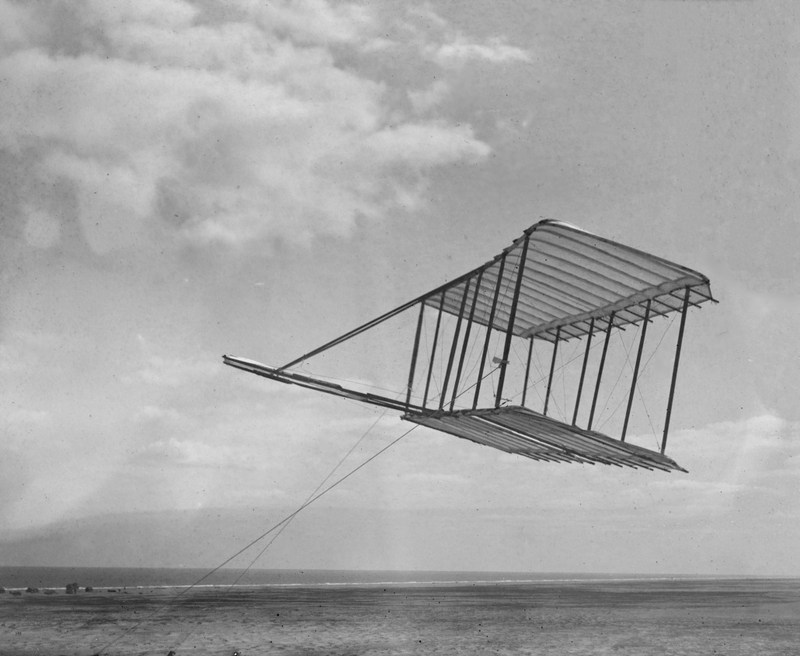 The Wrights' unpowered glider, of 1900. 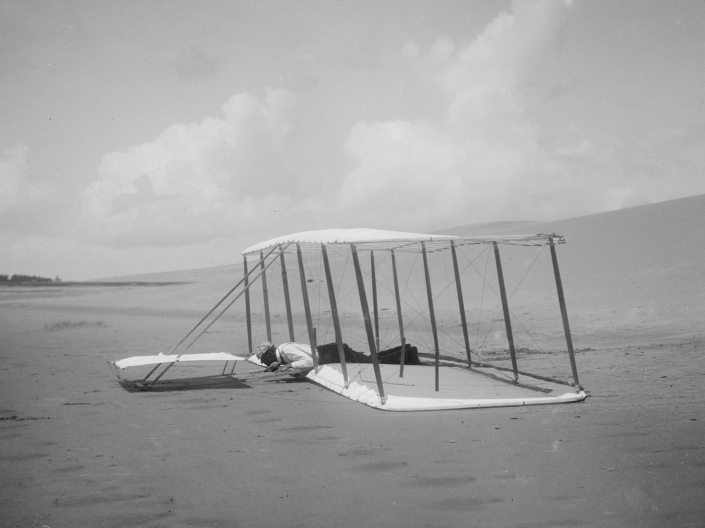 The Wrights' 1901 glider, having landed. The Wrights' 1904 Flyer, the year after the first manned, powered, controlled flight.